Handcrafted hosted a ranged weapons contest on the beach Sunday Evening with the prize of a Custom Bow and Archery Arrows compliments of HandCrafted’s own Clover for the winner. Derek Black of the Crone’s Eye was present to watch over the contest for magical tampering and two rounds of ranged weaponry face offs took the contest into a final round that included good natured taunting from the crowd. Contestants were permitted to bring their own throwing weapon of choice and in round one Alithia, Drejan, and Cynric faced off, with Drejan ultimately winning the first round. Round two saw competition between Krastor De’Guisarme, Dhente Xa’los Har’erthe, and Harlow, with Harlow taking this round home for a win, so that Harlow and Drejan faced off for the finals. The final round was good natured and a few in the crowd tossed out taunts and jeers — but only in fun. Harlow edged out just ahead to take first in the contest and Wanton Aime of the Salty Swallow served rounds of drinks to celebrate. – by Darsha, the one who sees. A party was held in honor of the Ame Moei and her sister Yue within the span of a jungle clearing late last night, the purpose being to give thanks and appease the jungle mother. All were invited to partake who came and stated their name, gave a gift and stated the reason for the gift. It seemed that many put aside their differences to join the party which was both solemn and joyful as it came on the heels of the destruction of Yue’s tempest, which just recently caused so much damage. Some gave in bounty, others offered gifts of protection, and even a wee child was seen gracing the tables with a gift late in the night. Music was played and as things wound down the party began to disperse. Even so, there seemed to be tension in the air. It is not yet known for sure who or what was the cause of Yue’s anger and the storm that followed, bringing with it the great Leviathan. Some present speculated, but few if any had answers. What will the future bring? It is hard to say. But if the jungle mother’s anger can be sated with gifts then surely it was so last eve. If not, perhaps the hunting of the one who called the beast will do the trick. — Darsha, the one who sees. Recent disaster has struck out against the land and sea. Some say that Yue is to blame for it’s cause, while others think she was but an instrument wielded by Ame Moei. All of the isle are invited to attend, but the charge for attendance you see can simply not be free! Arrival time can be anytime from 6 to hours beyond on Saturday, November 28th at a location near the Cascades. You -Must- bring with you an item of some value (in your opinion) or something that gives back to the land. You will be expected to present your item upon arrival at a designated area, and once having done so – you are free to partake in the party. Hand Crafted is Looking for You! Do you have skills you wish to market? Or are there skills you wish to learn? We have both at Hand Crafted. We are currently seeking persons with valuable skillsets to help the citizens of Eyr. In addition, we offer opportunities and apprenticeships for those wishing to learn a trade. Hand Crafted Jobs & Trades is a neutral alliance of Eyr’s finest artists and craftsmen. We offer a wide variety of services and we are looking to expand upon our current skillsets and develop apprenticeship positions for those interested in learning a trade. Stonecraft. Fintcraft, decorative, weapons & tool crafting and construction. Archer. Archery equipment design and creation. Archery supplies and repair. Fishing. Construction and design of fishing equipment and repoair from lures to fishing poles, nets, etc. Carpentry. Construction, design and repair. This could be everything from building construction down to furniture and/or toys. Beadwork. Bead creatin, carving, artistic design. Pottery. Ceramics and pottery of all shapes and sizes. This could range from artistic sculpture to solid and practical pottery. Cordwainer. Custom footwear and sandals. Leathercraft. Skinning and tanning services as well as construction of everything from armor, braces, pauldrons, and clothing. Leather gear and accessories. Jewelry Making. Design and creation of jewelry. Painting/Sketching. Artistic as well as practical. Chandlery. Beeswax and other types of candles. Cord/Rope Making. Weaving and braiding natural fibers into ropes. Basket Making. Everything from small decorative baskets made of pine needles to larger baskets practical for carrying/hauling. Scrimshaw. Decorative bone carving for the discriminating natives. Weavers/Dyers. Fabric weavers and those with skills in dying fabrics/making patterns. We encourage you to stop by the dock to discuss options. 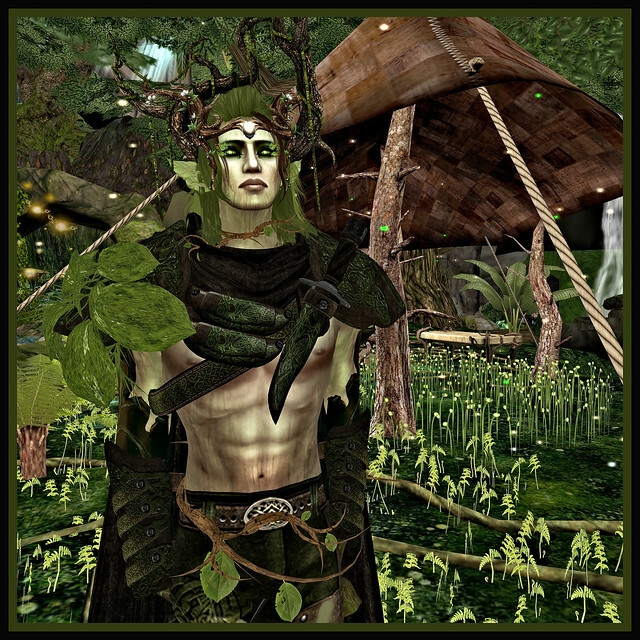 You can contact either Blanche Greyling, Craft Lead, or Xunfryn Revnik,Manager. 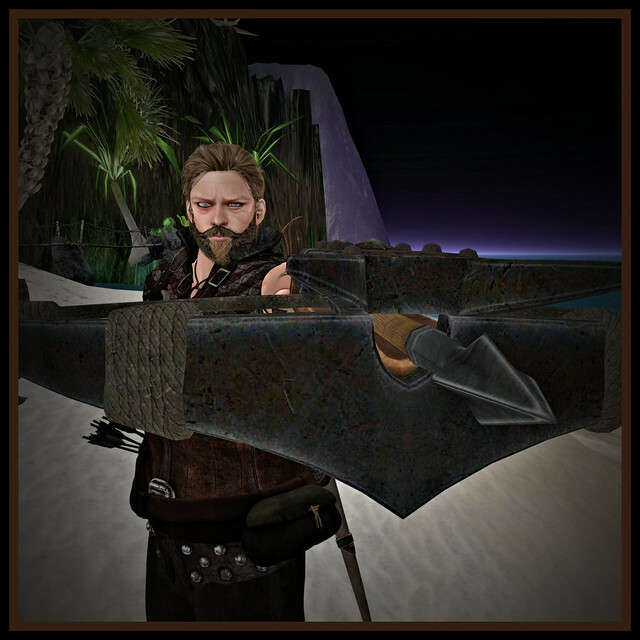 Hand Crafted Jobs & Trades will be hosting a Warrior’s Ranged Weapons Target Contest” on November 29 starting at 5:00PM SLT. The event will take place on the ocean beach and participants and as well as their admiring fans are welcome. This is a Warrior’s target contest. Bring you knives, blowguns, spears, bows, tridents, rocks, and show us your skill in striking a target. As this is a sportsmanship event and we are working to improve race relations, we ask that no live creatures be used as weaponry. Halflings may not be used as throwing weapons even if they are willing — though we do encourage Halfling participation in the contest through regular means. Refreshments will be provided by the Salty Swallow and the Night Cap. Hand Crafted will peddling assorted weaponry and accessories. Event judging will be conducted by Crone’s eye representatives. Anyone caught trying to magically enhance their weapon or scores will be dealt with accordingly at the discretion of the Crone’s Eye Judges. Contestants should plan to arrive a bit early to complete the sign-up process and take their place in the lineup. Anyone having questions can contact Blanche Greyling, Alliance Craft Lead. The bottom of each scroll has a blank space to serve as an entry form. Please fill out the following form, paste it into a notecard, and then send it to Botis (Maze.Ormega) if you want participate in the competition. Two weeks past, observant jungle denizens who had a full view of the open sky caught the moon flash red. Ever since the witnessing of this odd phenomena, the weather has been behaving increasingly unpredictably. Sudden strong winds have been violently shaking the jungle trees and causing the Stormstead huts to protest disconcertingly in squeaks and squeals. The tents of this past weekend’s Traders Fair nearly came free of their moorings and sent out to sea when one gust threatened to snap palm trees in twain. Word that is traveling through the jungle is that this is nature’s way of giving us advanced warning of a fierce storm heading our way. Citizens are being advised to head for the highlands and seek out secure shelter. Caves are the ideal recommendation. The current severe winds are expected to get much worse. The Salty Swallow Tavern is packing up for the oncoming tempest! Our food and drink we work to preserve in aid to Stormstead in time of unrest. Service will still be available, up until the typhoon makes landfall. It will close however during the terrible squall. When the worst is over, and repairs are made, we shall open again! As for what time that might be, we do not know when. The journalists of the Rumour Mill will do our best to keep people informed of upcoming developments when we can. The Salty Swallow will begin sorting through its wares, and breaking down what food and drink it can for Stormstead to endure the storm. The tavern will remain operational up until the time of Yue’s Tempest makes landfall. During the worst of the storm, the tavern will be closed as no doubt everyone will be seeking shelter. Once the worst is over, the tavern will resume business once the necessary repairs have been made.